We’d love your help. 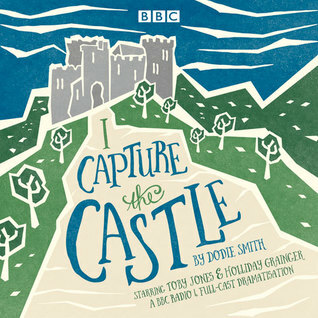 Let us know what’s wrong with this preview of I Capture the Castle by Dodie Smith. Toby Jones and Holliday Grainger star in a new BBC Radio 4 full-cast dramatisation of Dodie Smith's enduringly popular coming-of-age novel In the 1930s, seventeen-year-old Cassandra Mortmain lives in a crumbling ruin of a castle in the Suffolk countryside. Her father, an author wrestling with writer's block, spends his time reading detective stories; her bohemian stepmothe Toby Jones and Holliday Grainger star in a new BBC Radio 4 full-cast dramatisation of Dodie Smith's enduringly popular coming-of-age novel In the 1930s, seventeen-year-old Cassandra Mortmain lives in a crumbling ruin of a castle in the Suffolk countryside. Her father, an author wrestling with writer's block, spends his time reading detective stories; her bohemian stepmother Topaz is an artist's model, and her beautiful older sister Rose is determined to escape the poverty of their existence – ideally by marriage to a rich man. Intelligent and observant, Cassandra chronicles the eccentricities of her relations in her journal, in a bid to capture her family and their lives at the castle. To ask other readers questions about I Capture the Castle, please sign up. 5 Words: A fantastic performance, firm favourite. I own more copies of I Capture The Castle than any other book. It is my all time favourite book. I particularly love the audiobooks and dramatisations, as I love the different interpretations of the text. This was a fantastic dramatisation. It doesn't cover the whole text, it's only a tiny two hours long, so it did miss out some of my favourite scenes and quotes (the devil! the chocolate! the bread and butter!) but in thos 5 Words: A fantastic performance, firm favourite. This BBC dramatisation was fantastic - it took me back to my childhood when I used to listen to plays on the radio. As I've mentioned before, I'm a sucker for a proper English accent, this audiobook delivered and more. This book was a comedy of manners as only the English can do. Some like it, some don't. I'm suspecting this audiobook was abridged, I wish they mentioned it (I don't do abridged), so I feel that some of the characters' backgrounds were missing, which led to some confusion at times. B This BBC dramatisation was fantastic - it took me back to my childhood when I used to listen to plays on the radio. But hey, it was only 2 hrs long, so it made for a nice companion while doing chores. Once upon a time there were two bookworms who wanted to read Classics. But they were afraid, a little intimidated and needed encouragement. So they joined forces and formed the Dust off your Classics challenge to support each other. Dee from Dee Read's and myself read our way through some good classics, some great classics and found so much in these books that is surprisingly still relevant. So much so that I want to continue reading them and will continue to share my thoughts here on any I get through. This time around I'm dusting off I Capture the Castle by Dodie Smith. It published in 1948 and JK Rowling describes Cassandra as "one of the most charismatic narrators I ever met". Who could resist that glowing recommendation? I loved the quintessentially Englishness of this charming, quiet book. The narrator is a 17-year-old girl who journals her family adventures about living in a castle, in 1930s England. But when I say adventures, that's misleading as not a lot happens. And that was fine by me! Instead you get a character driven book, with lots of conversation that light up the pages with charm and whimsy. The whole family is eccentric and unique. I feel like I know them personally. I loved all the emotions that I felt; from the giddiness of first kiss, to the loyalty to family, to the worry about inviting guests for dinner but realising that no longer have a dining room table, as they sold it to raise much-needed money. It was all so real, and quirky. I listened to the Audiobook which was a full cast dramatisation by the BBC. It was fab! I still want to read the book though, as there are so many quotes that I loved and would like to see visually. 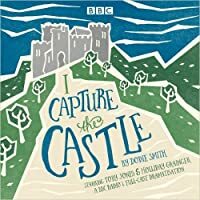 Who should read I Capture the Castle by Dodie Smith? I think it's a timeless, fun story. Highly recommended, if you like the idea of a family-centred plot, about living in a crumbling English castle, narrated by an intriguing 17 year-old who is smart and witty. Talk to Trish: Have you ever read I Capture the Castle by Dodie Smith? Do you prefer full cast audiobooks or single narrator audiobooks? Great, great listening experience. Highly recommend. A very well-produced audio version of the story. The story follows young Cassandra and her family, including her eccentric novelist father who's only written one novel, her model stepmother, and her sister Rose and her brother Thomas as they move to a remote castle in the countryside to ostensibly inspire their father to write. Throughout the story Cassandra and Rose deal with crushes and falling into tangled love triangle with their neighbors Great, great listening experience. Highly recommend. A very well-produced audio version of the story. The story follows young Cassandra and her family, including her eccentric novelist father who's only written one novel, her model stepmother, and her sister Rose and her brother Thomas as they move to a remote castle in the countryside to ostensibly inspire their father to write. Throughout the story Cassandra and Rose deal with crushes and falling into tangled love triangle with their neighbors and friends and growing up. I chose this thinking it was a regular audiobook but it turned out to be an adaptation. This meant that it felt a bit all over the place as parts were inevitably skipped in order to fit the 2 hour time slot. So I'm not sure it's fair of me to really judge the entire book based on this version of it. Nevertheless... it was basically just a load of mental poshos fallen on hard times. A bit of a love triangle thing with some other poshos. I just didn't care for anything th I didn't get this at all. Nevertheless... it was basically just a load of mental poshos fallen on hard times. A bit of a love triangle thing with some other poshos. I just didn't care for anything that was going on. The narrator/central character was really irritating and the whole vibe was annoying. Not my thing at all. My first time listening to a radio play, but WOW does this ever need context. Without steady narration as a guide, this story is ALL OVER THE PLACE. WHAT is happening, and why?? Who is Steven? How much time does this story span? Honestly how do ANY of the characters feel about each other? There is so much missing, and this performance is clearly for people who are very familiar with the story. At this point I’m caught between seeking out an unabridged version and flat out giving up. I might like My first time listening to a radio play, but WOW does this ever need context. Without steady narration as a guide, this story is ALL OVER THE PLACE. WHAT is happening, and why?? Who is Steven? How much time does this story span? Honestly how do ANY of the characters feel about each other? There is so much missing, and this performance is clearly for people who are very familiar with the story. At this point I’m caught between seeking out an unabridged version and flat out giving up. So it was definitely a different experience listening to a dramatization. I kept wanting click a button on my phone to turn on the picture as I listened. It felt very much like a play and it took a while for me to get into it. Perhaps this is normal, but I felt like there were huge skips in the story and then it took me a bit to become engaged again. I thought it was a good story though and I enjoyed it. Completely enchanting. I loved this story. I feel like I’ve read it before maybe I have. The characters are well developed and likable, the story progresses smoothly and the ending leaves you thirsting for more. What more could one ask for. I could recommend this to fans of Jane Austen’s or Oscar Wilde’s works. 4 stars for part 1, 2 stars for part 2. Part 1 - a highly entertaining and amusing description of the family's life and foibles. Part 2 - took a dark turn; became uncomfortable. Clearly a 'coming of age' story but one in which growing up is about a loss of innocence rather than a gaining of maturity. I’m not sure what I’ve missed by listening to the BBC Radio production of the story, but it was a quick and enjoyable way to spend a few hours. The plot revolving around the father was the most interesting aspect for me; the other plot lines felt too common or predictable. This wasn't an audiobook so much as an audio dramatization of a book. It was fabulous. I wish the BBC would do more books this way. A lovely warm adaptation of a beautiful coming of age story. YA before it was a thing. This radio adaptation is a story about the drama of unrequited love. Lovely dramatization of a great character-driven story. Having listened to the full cast audio book, I was charmed. Now I want to read the actual book. Fantastic dramatization! True to the original story. I Capture the Castle is a fantastic read. The characters leave you thinking with real empathic feelings. There are so many things that makes this complex book amazing. First, there is the heartbreaking beginning. Cassandra’s family is broke, and without a source of income, the situation is just getting worse. When two strange men show up at their castle, it changes their lives forever, for better or for worse. The story follows Cassandra, the main character, as she falls in love for the first ti I Capture the Castle is a fantastic read. The characters leave you thinking with real empathic feelings. There are so many things that makes this complex book amazing. First, there is the heartbreaking beginning. Cassandra’s family is broke, and without a source of income, the situation is just getting worse. When two strange men show up at their castle, it changes their lives forever, for better or for worse. The story follows Cassandra, the main character, as she falls in love for the first time. There are the intertwined romances among the characters, in which you can see how love can be confusing and mixed between different people. Cassandra, trapped in her undeniable love, spirals into more and more into despair of her situation. She is able to realise that there is more out there for her than just helping her family at home. The book is written in a way which makes it impossible to put down. It will leave you feeling hopeful, giddy and upset all at the same time, and at the end, the characters leave you with more than just a story, it leaves you with emotions and feelings. I would no doubt give this book five stars. The great appeal of this book is of course Cassandra's narration, and this radio play did capture that well, but what it really missed was the small moments when she's alone with her thoughts in that bid dilapidated castle. All in all, though, an enjoyable listen. Born Dorothy Gladys Smith in Lancashire, England, Dodie Smith was raised in Manchester (her memoir is titled A Childhood in Manchester). She was just an infant when her father died, and she grew up fatherless until age 14, when her mother remarried and the family moved to London. There she studied at the Royal Academy of Dramatic Arts and tried for a career as an actress, but with little success. Born Dorothy Gladys Smith in Lancashire, England, Dodie Smith was raised in Manchester (her memoir is titled A Childhood in Manchester). She was just an infant when her father died, and she grew up fatherless until age 14, when her mother remarried and the family moved to London. There she studied at the Royal Academy of Dramatic Arts and tried for a career as an actress, but with little success. She finally wound up taking a job as a toy buyer for a furniture store to make ends meet. Giving up dreams of an acting career, she turned to writing plays, and in 1931 her first play, Autumn Crocus, was published (under the pseudonym “C.L. Anthony”). It was a success, and her story — from failed actress to furniture store employee to successful writer — captured the imagination of the public and she was featured in papers all over the country. Although she could now afford to move to a London townhouse, she didn't get caught up in the “literary” scene — she married a man who was a fellow employee at the furniture store. During World War II she and her husband moved to the United States, mostly because of his stand as a conscientious objector and the social and legal difficulties that entailed. She was still homesick for England, though, as reflected in her first novel, I Capture the Castle (1948). During her stay she formed close friendships with such authors as Christopher Isherwood and John Van Druten, and was aided in her literary endeavors by writer A.J. Cronin.